Recently I add more free Thesis 2.0 Boxes for Thesis Theme 2.0 users, so I created another one box for Thesis Theme 2.0, that one is Custom Readmore Box for Home page post excerpt section. In default Thesis 2.0 don’t have readmore button in home page post excerpt section, for that I created this custom readmore box for Thesis 2.0. Somebody called this box as Thesis Home page Teaser readmore box. 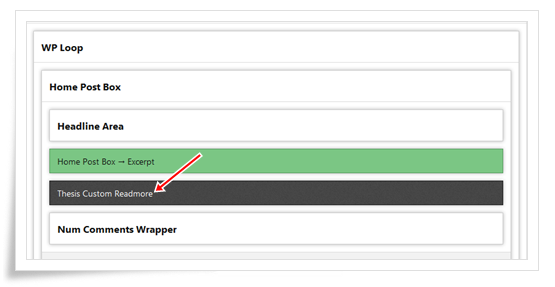 In this box admin section, you have option to change readmore text as per your wish. 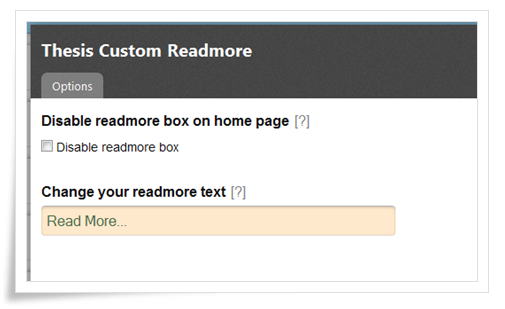 Let’s see How to use Custom Readmore box in your site. Then click add button it shows your boxes installed successfully. Then click on that check box and select save boxes button. That’s all now you successfully installed our Readmore box. Once you successfully installed boxes, it will automatically go to Thesis Skin editor section. Now go to Thesis skin editor section. Then save your template and check your Home page, it will appear. If you have any doubt regarding this box, feel free to ask me via below comment box. If you like above box, share with your friends via following social media options. 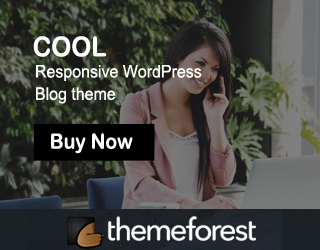 How to change the color, font and position of “Free Teaser Custom Readmore Box for Thesis Theme 2.0”? Go to your Thesis Skin Editor–> Custom CSS section, then paste the following code. In above code you can change your position, font and color.. Thank you for the box… Can you please tell me how can I replace the text for an image? I already uploaded it to thesis but I just can’t figure out the CSS code. Can’t understand what u ask? Instead of having a text link like “Read More” pointing to the post page, can’t I add a button image for example? If that’s possible, how can I do it? Thank you for your post. It helps me!! One of your link is dead links. I wonder If you use “broken link checker” plugin. Probably This was Bot get happy and give you some nice rankings. Hi, the box stopped working in Thesis 2.1. Any update? Please wait 2 day u will get update for all boxes..
Hi, any update on this? I would love a read more box 🙂 Thank you! Tomorrow you will get update..
Just now i updated my box to Thesis 2.1, now you can download again and update the box..
i cant understand, what payment? i have faced problem in drag and drop thesis custom readmore box. how can i fix it? Thanks a lot.. It’s working nicely…. Cant understand, what u asking, can u explain clearly. Go to skin content –> teaser readmore mox, there u have option to change text..